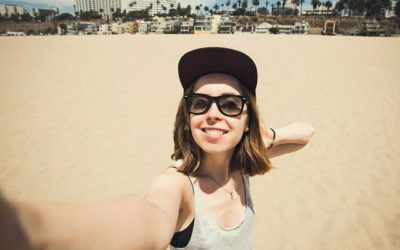 If you are searching for a summer hat, one of the most important features that you should consider in a hat is the width of the brim. A hat with a wide brim is capable of providing shades for your face, your ears as well as your neck. Moreover, it helps to block the harmful sun rays from getting onto your skin when you are exposed to the sun. For more information on choosing a summer hat, check out this article here. 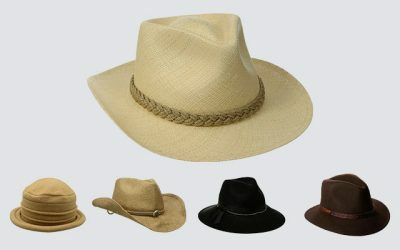 In case you are looking for a summer hat with a wide brim, there are certain other features that you need to consider including the materials- whether it is cotton or polyester. Moreover, you should consider the construction and the craftsmanship of the hat as well as the designs and color to make sure you have the best option. The width of the brim is also another thing that you need to consider as well. 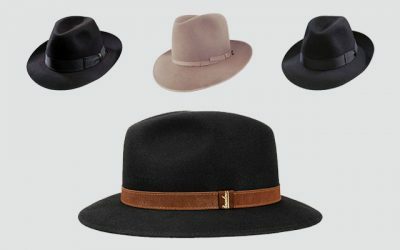 In the mean time, why don’t you check out our list of the top rated wide brimmed hats to see if you can find a hat that meets your needs in style and quality? Its Main Features: This wide brimmed hat is made of 100 % of cotton. It features a brim of 4.7 inches in width and a chin cord. There are 2 options of sizes for your consideration including medium and large. Thanks to the high quality cotton material, this hat is soft and comfortable to wear. In addition, cotton is one of the most breathable types of material so your head can be cool and well ventilated while wearing this hat even in the hottest summer days. The brim of this hat is wide enough for you to cover a large area of your face as well as your ears and your necks. 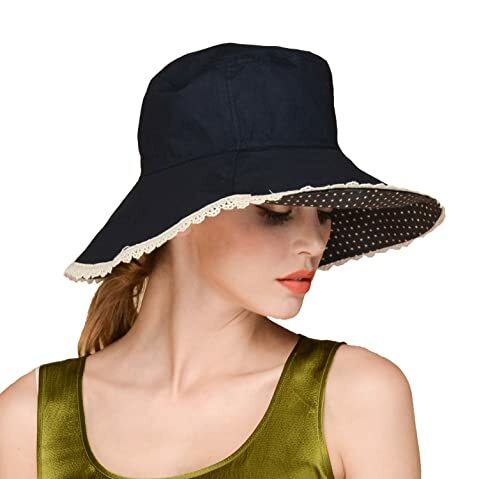 Moreover, the fabric of this hat is rated 50 + UPF so that the hat can effectively block the harmful elements of the sun rays and protect your sensitive skin when you go out. Another thing that I love about this hat is that it comes with a chin cord to keep the hat on the head. So not only can you wear the hat when it is sunny outside, you can also wear it when it is windy. The chin cord is removable for you to take out when you don’t need it. However, keep in mind that the brim can become flimsy in case of a high wind. This hat is unstructured and with a soft material, you can easily fold this hat and pack it along with you when you go travelling. Last but not least, it is very easy to take care of this hat. You can easily wash it by hand or with the washing machine. The color and the construction of the hat will remain the same regardless of how many times you wash the hat. This wide brimmed hat has a feminine and cute look that you can use for casual occasions such as garden parties and dates. Its Main Features: This large brim hat is made of 100 % of cotton. 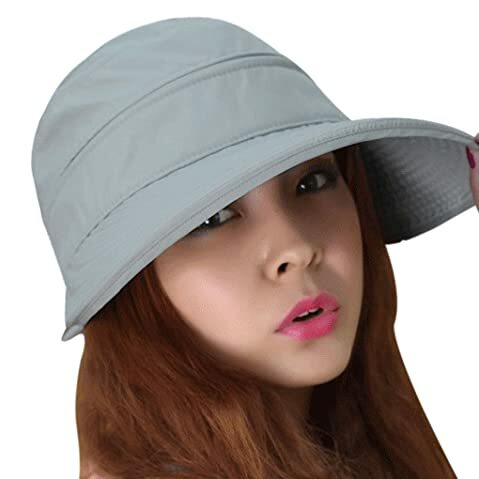 It features the bucket style with a big fold-up brim. There are 10 choices of colors from red, orange, light blue to black and denim for you to choose from. It is available in 1 size that can fit head’s circumferences from 22 to 23 inches. The height of the crown is 3.5 inches while the width of the brim is 5 inches. Like other women’s hats which are made of premium cotton material, this hat is lightweight and breathable. Along with the cotton sweatband, this hat is capable of keeping your head cool and dray in the sun. Not to mention that the hat is quite soft and smooth to the touch. You can fold and pack the hat into a small bag. The brim is wide enough to cover a large area on your face as well as your neck. The construction of the hat is firm and solid. Even when the hat gets wet, the brim will not flop down. The brim can be worn both up and down in the style that you like. Furthermore, the hat is done with an excellent craftsmanship with sturdy stitching lines and no loose threads. While this hat is available in 1 size, it comes with an adjustable drawstring for you to have a perfect and comfortable fit with this hat. There are various choices of colors for you to choose from. These colors are sharp and vivid which remain the same shades regardless of how many times you wash the hat. You can wear this hat when you go out to the pool or the beach. Also, it is functional that you can wear it when you do gardening. 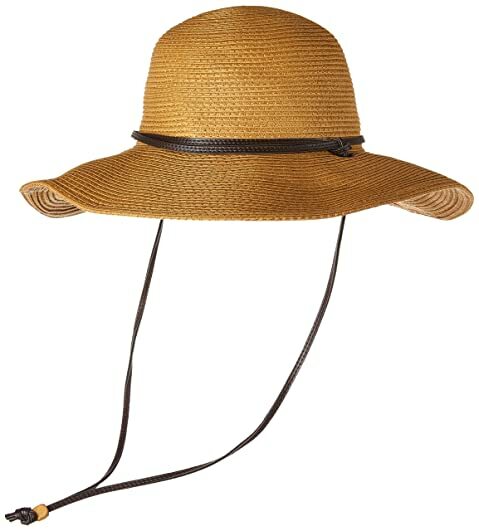 Its Main Features: This wide brim sun hat is made of 100 % of straw. This hat is available in 1 size with several options of colors for you to choose from including dark brown, spring bunch tan, and pink. This hat might not the smoothest and most lightweight wide brimmed hats that you can find on the market. But it is one of the most breathable hats that you can find on the market. Moreover, the fabric of this hat is braided firmly so that the hat can effectively block the sun rays away from your face. In fact, the fabric of this hat is rated 50 + for its ability to block the harmful elements- UVAs and UVBs. The hat comes with an inner cotton hatband which is capable of wicking moisture away and keeping your head cool and dry. Also, your forehead will not feel uncomfortable as it will not rub against the tough straw material. This hat comes with a wind lanyard so that the hat can stay securely on your head in case of a high wind. The brim is quite soft so that you would not be able to reshape the brim. However, it is kind of reinforced so that the brim will not become flimsy and block your view when it is windy outside. The wind lanyard is also soft and smooth. When the hat is dropped behind your shoulders, you will not feel like you are being strangled at all. Its Main Features: This black wide brim hat comes with a black satin headband. It is made of 100 % of wool felt material. It features the design of a flat cowboy hat with a flat brim and a round crown. This hat is available in 1 size that can fit head’s circumferences of up to 23 inches. The height of the crown is 5 inches while the width of the brim is 3.75 inches. The width of the band is 1 inch. In case you are looking for a wide brim hat of the Amish style, check out this hat. The brim is wide enough to cover a large area of the face. The brim of this hat is reinforced for a solid construction. Therefore, it will not become flimsy in case there is a win coming at you. It is not shapeable though. 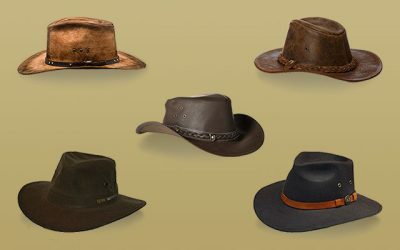 The materials which are used to make the hat are also of top notch quality. The wool felt material is soft and smooth to the touch. It is also dust resistant. Therefore, while the hat is made of wool and in the solid black color, it will not show off dirtiness easily. Last but not least, the hat is made with an excellent craftsmanship for a solid and durable construction. All of the stitched lines are done nicely with no loose threads. While the hat is available in 1 size, this hat can easily adjust so that it adjusts to the size of your head easily and comfortably. The construction as well as the design of this hat is simple yet classic and functional. You can wear the hat to formal events such as weddings or funerals. 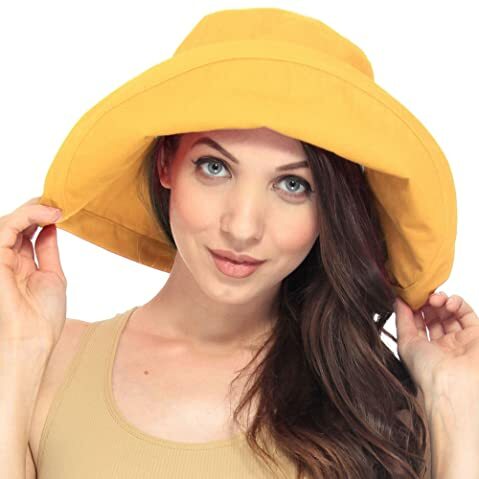 Its Main Features: This wide brim sun hat is made of 100 % of polyester. It features a faux-leather strap with a wooden bead. There are 4 options of colors for you to choose from including natural straw, nocturnal, cypress, and white. There are 2 sizes for you to choose from which are Small/Medium and Large. In case you are looking for a wide brimmed sun hat protection, this is one of the best options that you can have on the market. First of all, the brim of this hat is wide enough to cover a large area of your face as well as your ears and your neck. It also features the advanced Omni-shade UPF 50+ fabric so that the hat can effectively block the harmful elements UVAs and UVBs elements from the sun rays. This hat comes with an adjustable chin strap that the hat can stay comfortably and securely on your head, regardless of how windy it is outside. The material of the hat makes it lightweight and comfortable for you to wear. Also, it features an omni-wicking sweatband which is capable of wicking moisture away and keeping your head cool and dry. The sweatband is also very soft and comfortable on your forehead, preventing any rubbing between the hat and the forehead. This hat is nicely sewn for a solid and durable construction. With the soft material, you can easily fold the hat and pack it along with you when you go travelling. It will retain its shape after you take the hat out. Last but not least, you can easily wash the hat both by hand or with the washing machine. 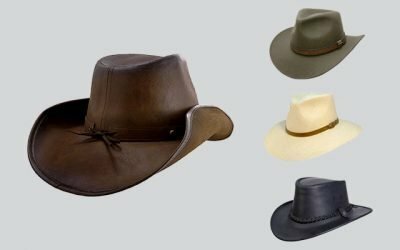 In case you are looking for wide brim hats for women which are easy to take care of and last for a long time, you can consider this option. 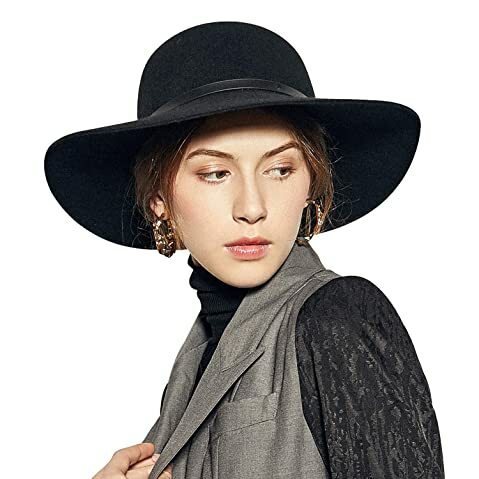 Its Main Features: This floppy wide brimmed hat is made of 100 % of wool. 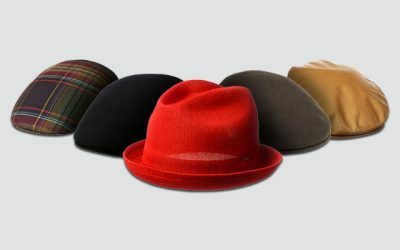 It features the design of the classic trilby hat with a creased crown and a floppy brim. The height of the crown is 4.33 inches while the width of the brim is 4 inches. This hat is available in 1 size that can fit head’s circumferences from 22 to 23 inches. Thanks to the high quality and expensive wool felt material, this hat is soft and warm to wear in a cool day. It comes with a cotton hatband inside, which is not only capable of wicking moisture away. It also prevents your forehead from rubbing against the hat. Not to mention that the hatband is super stretchy and elastic. Therefore, it can fit your head circumference comfortably. With this hat, you will feel comfortable wearing the hat for a long time. While the wool makes the hat warm, it is also breathable enough for you to wear the hat in the summer as well. The brim of the hat is reinforced so that it will not become flimsy in case of a high wind. You can also reshape the brim to the style that you like as well. 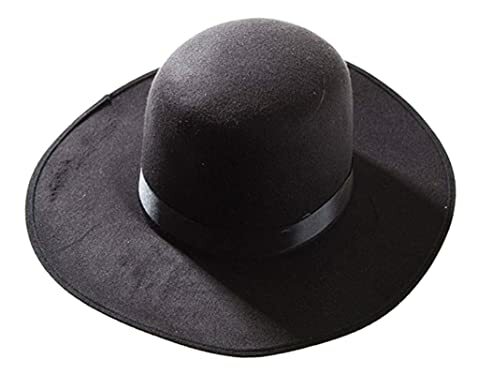 This solid black wide brim felt hat, you can dress up for a formal occasions such as weddings and churches. You can also dress down for a simple and effortless style for a date out. 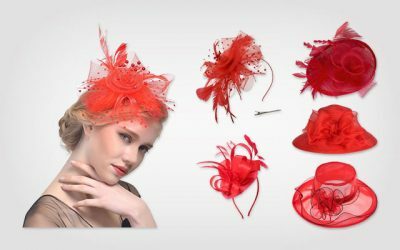 The romantic and feminine look of this hat will surely compliment and helps to bring a stunning fashion statement to your style. Its Main Features: This beach hat is made of 100 % of straw. It features the natural-toned hand woven toquilla straw with a round crown, a twisted grosgrain ribbon bow, and in interior woven sweatband. There are 7 options of patterns for your consideration. It is available in 1 size that can fit head’s circumferences of up to 23 inches. The height of the crown is 4 inches while the width of the brim is 6 inches. There is an inner wire running along the outer edge of the brim. This wire prevents the brim of the hat from becoming too flimsy and blocking your view in case it is windy outside. While the construction of the hat is firm and solid, the fabric is quite soft, allowing you to crush, fold, and pack the hat into a small bag for easy storage and travelling. Creases and wrinkles might appear on the hat but you can easily flatten the hat by ironing it at a low temperature setting. This hat is made of the high quality natural straw for a lightweight and breathable fabric. Moreover, it comes with an interior woven sweatband which can assist to wick moisture and ensure you have the greatest comfort while wearing the hat. Besides the premium quality materials, this hat is made with an excellent craftsmanship for a durable beach hat. The grosgrain ribbon is stitched nicely and firmly on the hat along with the floral detail. It also has a strap so that the hat can stay securely on your head regardless of how windy it is outside. With its functions and features, it is a great accessory for you to bring a long with you when you go travelling or to a beach party. 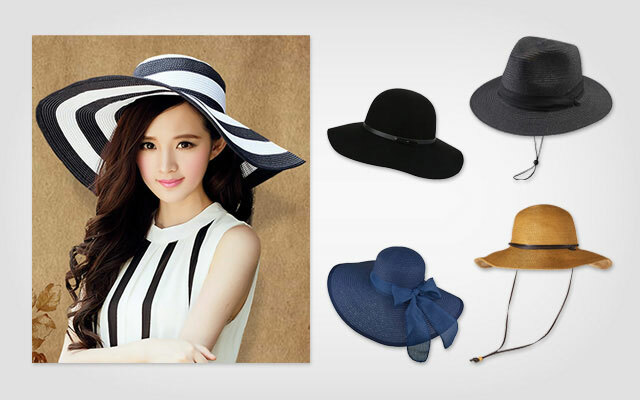 With its high quality straw, and elegant ribbon bow, this hat will bring an artful look to your style. Its Main Features: This hat is made of 100 % of paper braid material. It features the design of a floppy fedora hat with a hatband and a word or a phase printed on the brim of the hat. There are plenty of cool words and phrases for you to choose from with this hat such as “Always on vacay” or “hello sunshine”. It is available in 1 size that can fit head’s circumferences from 22 to 23 inches. The height of the crown is 4.5 inches while the width of the brim is 4 inches. The hat is made of the high quality to be lightweight and breathable. While the paper braid material makes the hat tougher than a natural straw hat, you can easily fold the hat and pack it along with you when you go travelling. The brim is not too wide but still enough to cover a large area of your face as well as your ears and neck. The fabric is also braided tightly enough to effectively block the harmful sun elements away from your face when you go out. Like other high quality sun hats that you can find on the market, this hat comes with an interior sweatband with no lining to add extra comfort and breathability to the hat. 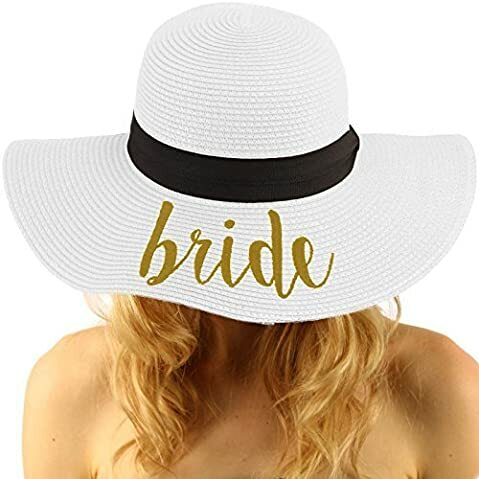 Provided that you are looking for wide brimmed hats for ladies to bring along with you on your next trip to the beach, this one can be a great accompany. You can also wear the hat in the sun, to a pool party, sailing or picnic. You can also wear it when you do your chores including yard work and gardening. 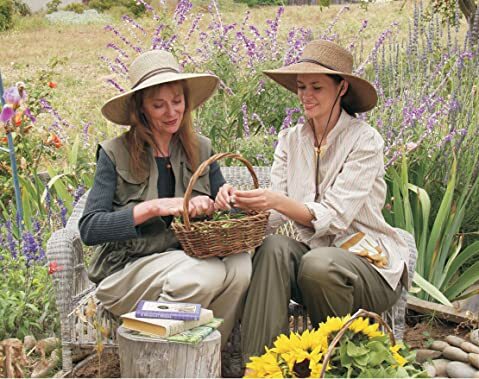 Its Main Features: This wide brim sun hat is made of 100 % of cotton featuring the unique dual-purpose design including a large brim and a visor with butterfly knot. There are 3 options of colors including grey, blue, and light pink. It is available in 1 size which fit head’s circumferences of up to 23 inches. This hat is super soft and lightweight. In addition, it is highly ventilated to keep your head cool and dry all of the time. The fabric of this hat is rated 50 + for its ability to block the harmful elements of the sun rays away from your head. Still, if you wear the hat with the visor, the hat will not be able to protect your neck. The brim of this hat comes with an inner wire for you to reshape the brim to the style that you like. In case it is windy, the hat will not become floppy or flimsy to block your view. 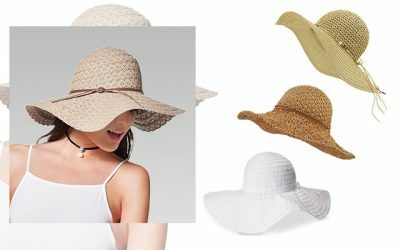 It is worth mentioning that the design of this wide brim floppy hat is one of the most unique designs for a wide brimmed hat that you can find on the market. It features the stylish bow at the rear of the hat to add an elegant and outstanding look to the hat. You can also change the style of the hat thanks to a zip around the crown. You can choose to wear the hat with a wide brim or with a visor cap. There is a Velcro adjuster at the rear of the hat for you to easily adjust the hat for a more custom and secure fit. 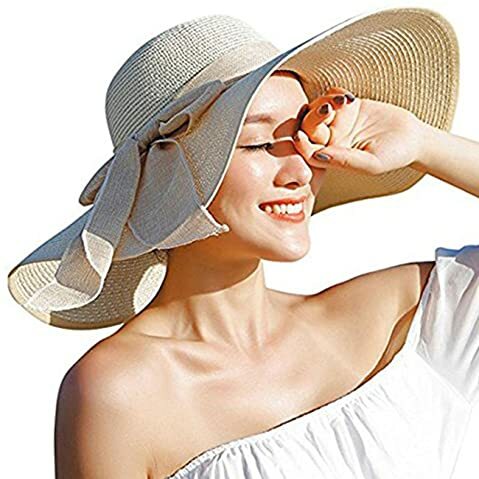 Its Main Features: This wide brimmed hat is made of 100 %of paper straw featuring the design of a concave sun hat. There are 2 options of colors including back and deep khaki for your consideration. This hat is available in 1 size that can fit head’s circumferences from 20.5 to 22.8 inches. This hat is not the extra wide brim hat as the brim of this hat is only 3 inches in width. However, it means that the brim of this hat would not become flimsy and block your view when it is windy. Moreover, the hat comes with a chin cord to keep the hat on your head regardless of how windy it is. Also, you can remove the strap easily if you want to. 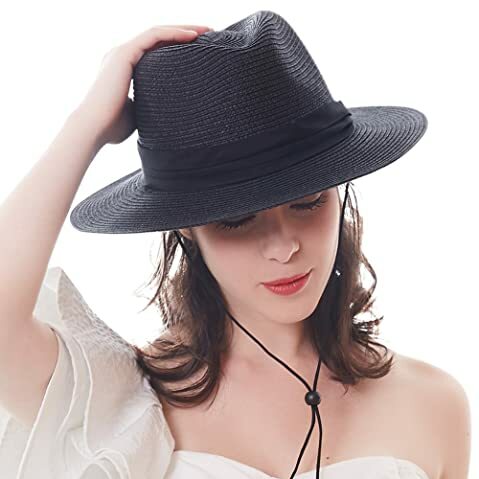 All of these features make it a functional and conventional wide brim fedora women’s hat to wear in a windy summer day at the beach. The fabric of this hat is braided nicely and firmly so that it can effectively block the harmful elements of the harsh sun rays. This hat is soft enough so that it is crushable and packable for you to easily bring the hat along with you when you go travelling. The hat can become wrinkly. In this case, you can easily iron the hat to make the fabric of this hat flat again. Thanks to the highly stretchy and adjustable sweatband, you would be able to find the most perfect fit with this hat. The hatband is made of the premium cotton material for extra comfort to your forehead. 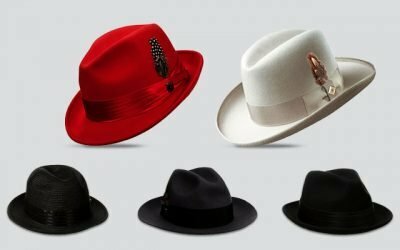 In case you are wondering where to buy wide brim hats, you can check for several online e-commerce sites such as Amazon and EBay. These produces above are all available on these sites for you to further check on them and read more reviews from other buyers. I hope that with all of the information above, you can quickly find a wide brimmed hat that meets all of your needs and requirements. 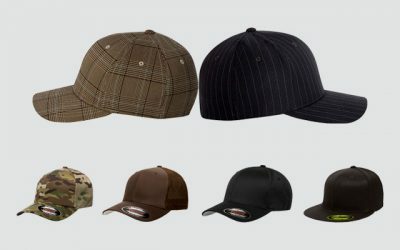 As you can see, these hats are different in materials, designs, and colors. You might want a hat with a super wide brim of 5 to 6 inches or you want it to be simpler with a brim of less than 4 inches- the choice is up to you. Make sure you spend time searching so that you can make the most informed decision.